Approximately 170 million years ago Robin Hood’s Bay would have been a deep-sea bed. If you look closely enough along the beach, you may be able to see fossils of the creatures that would have lived in the area when it was submerged under the sea – during the period when dinosaurs began ruling the Earth. You can also discover live sea animals in the many rock pools left behind at low tide. A glimpse into an ‘alien’ world – both past and present! 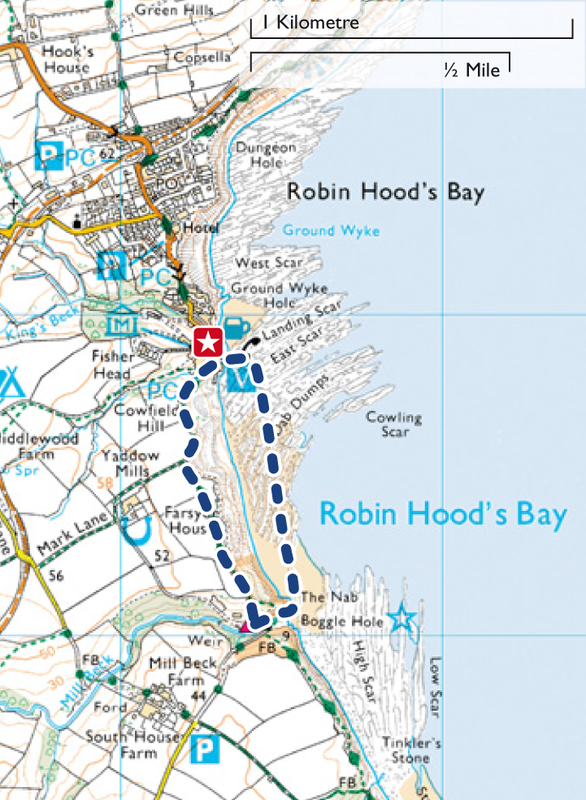 The Coast Alive Tracker Pack includes all you need to explore this special place and enjoy a short two-kilometre (1.2 miles) walk along the beach and cliff paths – between Robin Hood’s Bay and Boggle Hole. The Tracker Pack contains a route map, binoculars, a magnifying glass and instructions for family activities – including a rock pool recce, fossil hunt, beach art, alien invaders, boggles, brilliant birds and the wonderful words bucket. The Tracker Pack is free to hire from the Old Coastguard Station at The Dock, Robin Hood’s Bay, to book ahead or more detail telephone 01947 885900. For a taster of what the Tracker Pack has to offer, click on the download link below to obtain a copy of the Pack (minus the necessary equipment).